While we will be examining every detail and item of your property you are interested in acquiring, we will be analyzing all indications of possible and current problems with the foundation, drainage, roof, heating and cooling systems, plumbing system, electrical system and if we are performing a termite inspection as well, great attention to any possible termite infestation. Click these links for more details. Lead trap for a commode as seen in crawl space connected to a cast iron sewer line, typical of homes 20 years old and older. Should be checked once a year. Good Advice for home buyers. 1. Foundation & Inadequate crawlspace ventilation. This can cause high levels of moisture in the wood support members in the crawlspace, causing pocket rot, brown rot and slow deterioration of the wood support members. This condition can also cause allergic reactions, asthma, and reoccurring headaches literally. Even low levels of moisture should be given some consideration. During the inspection these conditions will be examined and recommendations will be made. We highly recommend removing all crawlspace ventilation covers around the perimeter of the exterior beam wall. In a few cases there is a need to install sump pumps, ventilation fans. Every structure has it’s own variables, differences and unique circumstances. The foundation is not just what you see by looking around the exterior of the property, but a complete evaluation of the structure. This means we evaluate all components of the structure before determining the condition of the foundation. 2. Drainage. This is one of the most common problems found at most properties, where the structure has had movement. 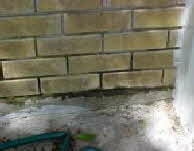 We evaluate this condition during every inspection. We give information on how to improve this condition and hopefully remedy this condition. Look over the lot, driveway, walkways, flower beds and all areas next to the foundation. now, ask yourself where is the water going to go when it rains? 3. Roofing material Inadequate attic ventilation. The roof covering can appear to be in good condition to a untrained homebuyer. 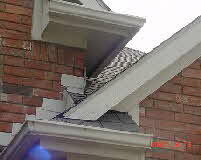 We will inspect for factory defected shingles and poor installation of shingles. Then there are wood shingles, tile, slate, aluminum and flat built-up roofs, they can get real complicated to evaluate, you don’t even want to try this unless you are a inspector or a roofing contractor. This can cause even the best roofing materials to age and need replacement much earlier than it should. We evaluate this condition at every property we inspect. Gray mildew streaks down the surfaces of the roof covering is one sign that there could be a ventilation problem. 4. Unsafe gas heating system. Any gas heating system has the potential to be a serious health and safety hazard. We have inspected thousands gas heating system and had extensive training. While we are unable to disassemble any HVAC system, we know what signs to look for that would indicate a potential safety problem. This is an area in which most inspection companies have little training and commonly overlook this concern. We will report any possible condition that appears to be a health risk. Still we highly recommend the installation of a carbon monoxide detector in at least a couple of locations in the structure. 5. Inadequate or poorly maintained Cooling system. Sometimes we find this problem at new construction homes that no one has even lived in, but most common it is with a preexisting home that the cooling system is under sized to cool the number of squire feet of living area. Typically their should be 1 ton for every 500 sq. ft. of living area, and rounded off to the upper end if there is ceilings over 6 feet tall. Poorly maintained cooling systems is also one of the common problems found during most inspections. Filters dirty usually means a dirty coil, which means low air flow and high electrical bills. Low freon levels cause inadequate cooling numbers, longer cycles and high utility bills. We check the system and let our client know how the cooling system is doing, and can usually tell what needs to be done to fix it. 6. Plumbing problems. This is also a place that “uncle Joe” may have been helping out, again you don’t know what your going to find. We check for shower pan leaks, proper drainage of the sewer system, properly flushing commodes and yes, that drippy faucet. This part of the inspection is like playing detective, because much of the plumbing system is hidden. 8. Termites. There every where! If you asked anyone what was the main concern that they had for there property it would be termites. It takes years of training, detective like methods, and a mind like a termite to track these guys down. Our company has set new standards in the field of termite inspections (wood destroying insect reports). We are the leaders in this new technology and training for performing termite inspections. Have offer training to help other inspection companies learn our techniques. 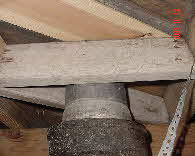 We have been amazed when we see another inspections company report and usually that they missed the termites. We will perform a thorough inspection of the property and produce a detail report on this concern. Water draining out from inside wall. Why choose America's Inspectors for your inspection ? If you are Considering starting your own inspection company or wanting to work with a established inspection company? Learn how to join this rewarding field here in Texas or any other state.